Energy 350 | Power Factor - what is it? Power F actor can be a tough concept to grasp. It is defined as the ratio of real to apparent power. Unfortunately, the definition alone does little to explain the concept. This entry is intended to convey power factor at a high and understandable level, glossing over some of the details. Power factor is typically less than 1 due to the presence of inductive loads. Inductive loads include motors, transformers, and anything with windings. These inductive loads cause the current waveform to lag the voltage waveform. Breaking unity between these two causes a power factor less than one. Resistive loads such as electric heating elements have a power factor of 1. The theory could go on, but the important part is the practical consideration and application of power factor. Power factor is often overlooked altogether, or assumed in energy calculations. Most importantly, don’t neglect power factor. For 3 phase power, volts * amps * 1.73 / 1,000 is apparent power (kVA), not real power. All energy calculations should be based on real power. For 3 phase power, real power (kW) = Volts * Amps * Power Factor * 1.73 / 1,000. Whenever possible, power factor should be measured. Unfortunately, real power meters are expensive, but they are necessary to get accurate measurements. If the load is steady, such as a constant speed fan with no dampers and constant flow, you can get away with a real power spot measurement and logging amps. However, for many or most situations, power factor will vary as load varies. Low load conditions can produce power factors of .4 or lower. 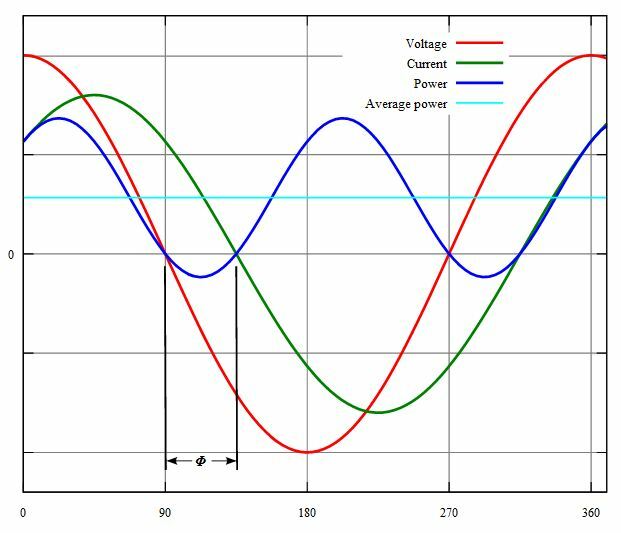 That can make a huge difference in your analysis, so make sure to consider, and preferably, measure power factor.